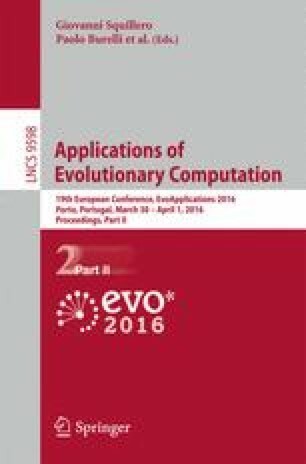 Large-scale multi-objective optimization problems with many decision variables have recently attracted the attention of researchers as many data mining applications involving high dimensional patterns can be leveraged using them. Current parallel and distributed computer architectures can provide the required computing capabilities to cope with these problems once efficient procedures are available. In this paper we propose a cooperative coevolutionary island-model procedure based on the parallel execution of sub-populations, whose individuals explore different domains of the decision variables space. More specifically, the individuals belonging to the same sub-population (island) explore the same subset of decision variables. Two alternatives to distribute the decision variables among the different sub-populations have been considered and compared here. In the first approach, individuals in different sub-population explore disjoint subsets of decision variables (i.e. the chromosomes are divided into disjoints subsets). Otherwise, in the second alternative there are some overlapping among the variables explored by individuals in different sub-populations. The analysis of the obtained experimental results, by using different metrics, shows that coevolutionary approaches provide statistically significant improvements with respect to the base algorithm, being the relation of the number of islands (subpopulations) to the length of the chromosome (number of decision variables) a relevant factor to determine the most efficient alternative to distribute the decision variables. This work has been supported in part by projects TIN2014-56494-C4-3-P and TIN2012-32039 (Spanish Ministry of Economy and Competitivity), V17-2015 of the Microprojects program 2015 from CEI BioTIC Granada, PROY-PP2015-06 (Plan Propio 2015 UGR), PETRA (SPIP2014-01437, funded by Dirección General de Tráfico), and MSTR (PRY142/14, Fundación Pública Andaluza Centro de Estudios Andaluces en la IX Convocatoria de Proyectos de Investigación).